The songs on this new CD of Jeronimo Maya are all authentic flamenco of the most genuine style Caño Roto in addition to a variety of flamenco as Tangos, Alegrías, Bulerías, Granainas, Mineras, Soleas, Zambras and Rumbas. 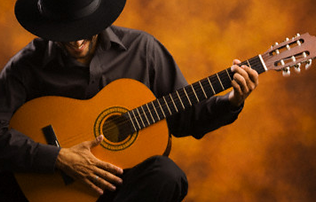 This musically and technically complex style is unique to the gypsy neighborhood of Madrid, where the largest concentration of most important flamenco guitarists in the world is. The participating artists on the CD are all authentic artists of Caño Roto, famous flamenco artists as important as Ramon El Portugués, Amador de los Chorbos, Samara Losada, El Bo, Luki Losada, El Buba de Jerez, Khalil Kayam, Antonio El Ciervo, El Cuba, Miguel el Rubio, el Momo, Quilino Jiménez, Felipe Maya and Leo de Aurora y Aurora Losada. 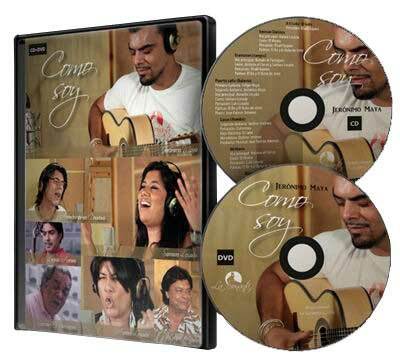 The CD also contains a DVD "Cómo se hizo el CD" with interviews with all artists and José Luis Garrido, videos of the recording sessions that allow to witness the recording process from the beginning to the mixing process. The new flamenco CD of Jeronimo Maya is produced by La Sonanta Productions in collaboration with the experience of famous musical producer and flamenco sound engineer José Luis Garrido of Musitron. José Luis Garrido has produced several CDs with the most famous masters of flamenco as Chavela Vargas, Paco de Lucia, Vicente Amigo, Cañizares, Enrique de Melchor, Enrique Morente, El Cigala, Potito, Ketama and even Camarón. In September 2000, the work of José Luis Garrido was nominated for a Latin Grammy for "Best Sound Engineer" in the production of the album "Toma Ketama".